Superchargers, nitrous oxide systems and after market parts and accessories are presented in Muscle Mustangs and Fast Fords through comprehensive tech articles. You also get the latest industry news and coverage of shootouts and races. Not only will you stay informed about everything that is happening in the Ford world, but you will also learn something new in every issue. 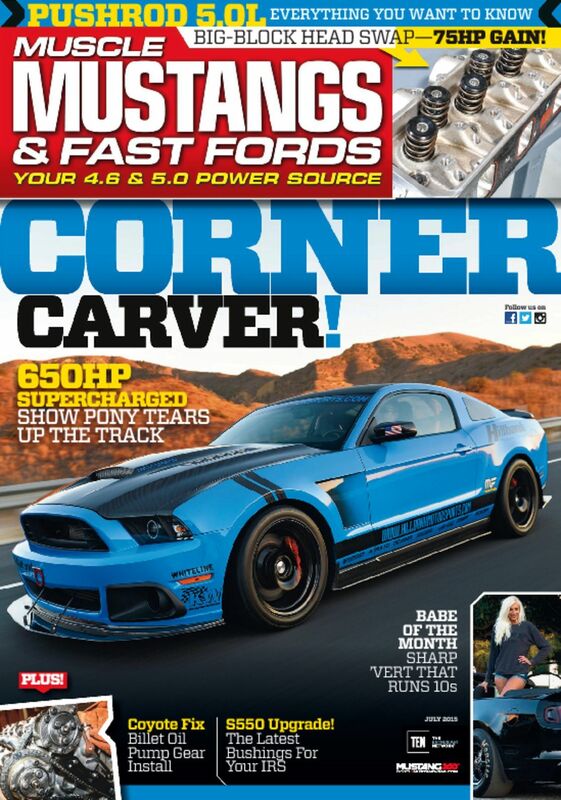 Muscle Mustangs & Fast Fords magazine ensures that you know everything you need to complete your latest projects. Each issue contains fantastic tutorial style articles that help you with your project vehicles. There are a wide variety of topics including, suspension, engine issues, wheels and tires, and more. There is also a technology question and answer section in each issue as well that will be of great help to you.